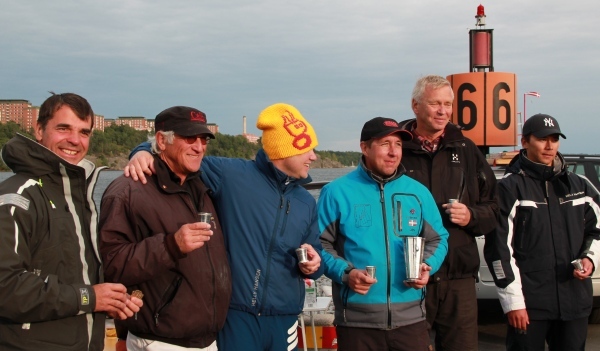 The regatta included the Swedish Championship and also the final race in the Scandinavian Cup. The sailing venue was Frihamnen, NE of Stockholm center. The racing form was HMS2007 with A and B heats and a initial seeding race. Sunday was cloudy, giving a whole lot chillier wheather but instead we got a good breeze from SE, increasing during the day and the last races where sailed with Rig 2 with good downwind runs surfing on the increasing waves. A total of 16 races where completed. 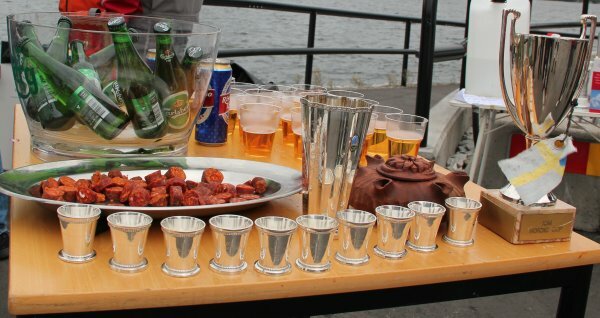 Quite fitting, the sun started to shine at the after sail beer and the prize giving ceremony. SRSS would like to thank all sailors and the ten persons in the organization staff who made this biggest ever event for the club to become a success. The staff comprised several international high ranked sailors including VOR and Americas Cup proffessionals.